Ferget the new mall Orange Julius. I want to take you back. Way baaack, deep into the 70’s. When Orange Julius was a “devilish good drink” and they also served greasy hamburgers and fries and an Orange Julius tasted like frothy orangey-vanilly goodness. Well that flavor is back, in a packet. .99 cents o’ fun. 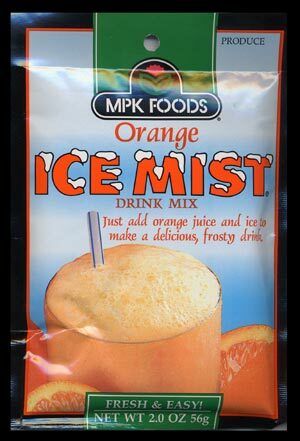 Just add orange juice, crushed ice in a blender and woo-hoo. We found this in an unlikely place hanging above the veggie bins in the produce section at our local giant conglomerate food chain. Go. Now. Relive the glory. oh i am going to have to find this soon! 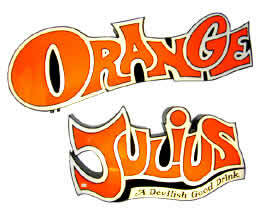 my hubbie and i were just reminiscing the other day about the Original Orange Julius!! !